Do you have a plan for your family's future? 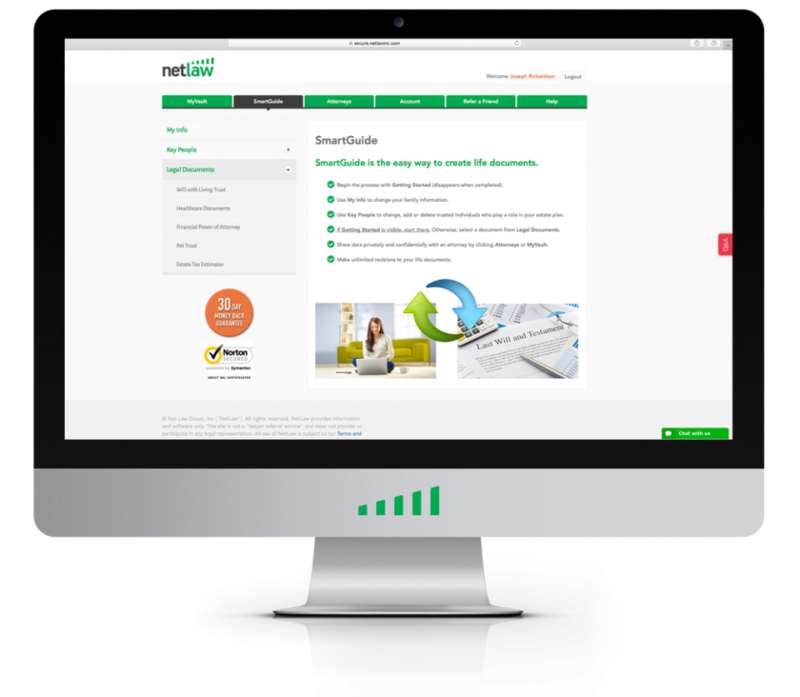 NetLaw provides the best online estate planning document solution available. 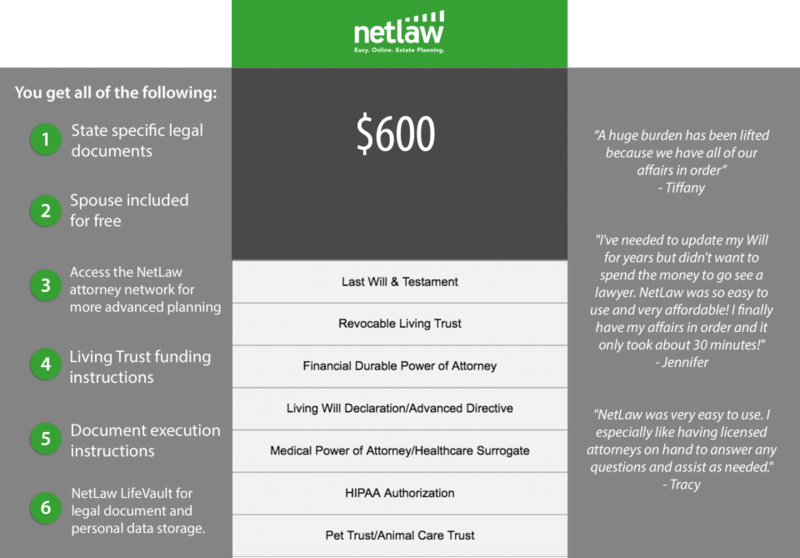 NetLaw’s streamlined, award-winning process establishes estate plans in just a snap. 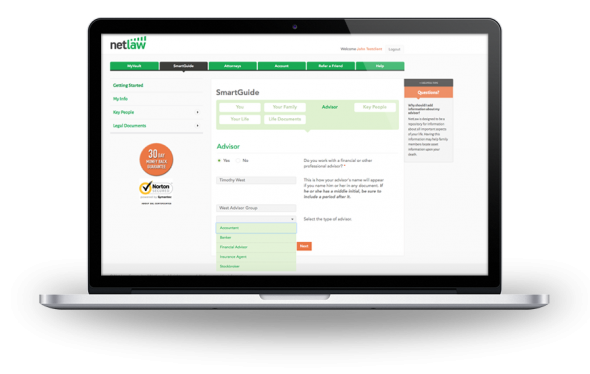 The solution creates valid documents for all states and a network of highly qualified attorneys across the nation. guardianship for minor children, and making important health care decisions in the event that you cannot could be decided by a judge without an estate plan. Estate Planning is such a key component of one’s overall financial plan and now there is a product that can help you get your affairs in order. Most people get their estate planning done in an hour. Fast, right? 2017 Copyright © Net Law Group, Inc.